The previous one resigned for health reasons. 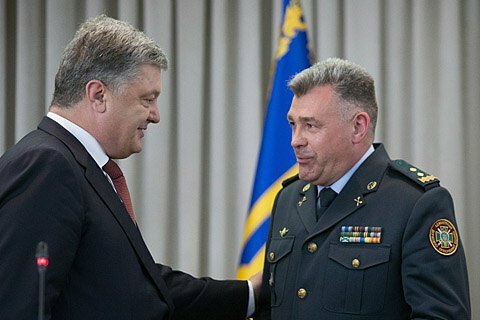 President Petro Poroshenko has dismissed the head of the State Border Service, Viktor Nazarenko, and appointed Lt-Gen Petro Tsyhykal to this post. Tsyhykal was the director of the operations department of the State Border Service. As reported earlier today, Nazarenko resigned citing health reasons. He fainted during the signing of the Ukrainian-Belarusian intergovernmental agreements at the Ukrainian presidential administration on 21 July.